. We often depend on others for validation, but it's important to have one's own internal compass. Self-Love is all about building your self-esteem and self-image. One way to think about self-esteem is that you imagine an ideal self with all the hopes and desires you can conceive of and you compare that to where you are right now--your real self. Then look at the distance between the two with an eye toward the future. Make sure your sense of self is not merit-based but an unconditional love. This is crucial to the core of your being. Although we credit ourselves with what we do, who we are deep inside is what self-love is all about. The idea is to use your ideal self as your guide not expecting to reach it but to give you direction and a hopeful outlook. Then you've begun practicing self-love because you feel inspired to get to know yourself even better which is so important in order to expand your self-image and give yourself the internal validation you are entitled to from within. We often depend on others for validation, but it's important to have one's own internal compass. 1. Take each day one at a time and as you move through it. Pat yourself on the back for small and large accomplishments always keeping in mind that it's not what you've done or finished but the process of expressing yourself in these different ways. This helps you recognize you are having a productive day, you like yourself, and you are building your motivation to continue along the way. 2. In the evening think about that day and assess your highs and lows. Think of what made you feel you love yourself for who you are. This is essential--who you are is good enough. Tell yourself that over and over. You may have had a brief encounter with an acquaintance who you gave a boost to or maybe you completed or made some headway on a task that you've been procrastinating. Even if all of the day wasn't what you hoped for, be realistic and give yourself credit for what you've done. The internal you is good enough. 3. Allow yourself to be yourself moment by moment. Accept your strengths and weaknesses as part of your being and allow for mistakes and flaws along the way. Accepting yourself gives you a sense of stability and ease. 4. Develop some long range plans for going towards what might inspire you. It may be what you do in your work or something new you want to learn. Give yourself credit for being open minded about where you're headed. 5. Don't take yourself for granted. You've gotten this far in life with all its obstacles and challenges. Tell yourself that you've made it over some hurdles, even if they've been shaky at times and you can continue to meet your aspirations even if life doesn't follow a straight line. 6. Take time to spend alone in sheer contemplation. Relax your shoulders and take a break even during hectic times. Those moments of introspection and easing into a comforting place will motivate you to continue forward building your self-love. 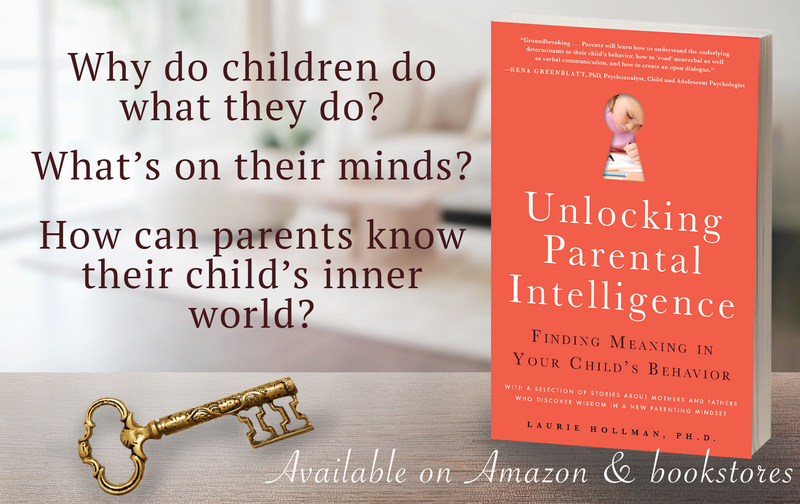 Laurie Hollman, Ph.D., is a psychoanalyst and author of Unlocking Parental Intelligence: Finding Meaning in Your Child's Behavior found on Amazon, Barnes and Noble, Familius and wherever books are sold.